Well Phil, you let us down. You’ve predicted six more weeks of winter, and although we can’t really blame you (you are just a groundhog! ), we are still pretty disappointed. Spring can’t be that far away, after all…it’s beginning to grow lighter in the evening, farms are opening up registration for their 2017 CSA share programs, and annual winter festivals are coming to an end. In the meantime, let’s enjoy the food that this crazy winter has to offer, like comforting and warm pastas, pot pie, and cupcakes. Yum. “Lovely” pasta specials. Casa Casale at Peddler’s Village hopes you’ll fall in love with their February pasta special. Casa’s pastas are imported from Italy, with hundreds of varieties and cuts of pasta for you to choose from. This month, Casa Casale is offering a “buy-two-pastas-get-one-free” deal. Stock up and grab some meatballs or sauce to complete the meal. Also this month, they’re offering a new white chocolate latte with whip cream, white chocolate and sprinkles. Decadent and tasty, plus it goes great with their espresso chip biscotti. The Pot Pie Cook-Off. Jim Hamilton is hosting another step-by-step open kitchen demonstration on Wednesday, February 8. 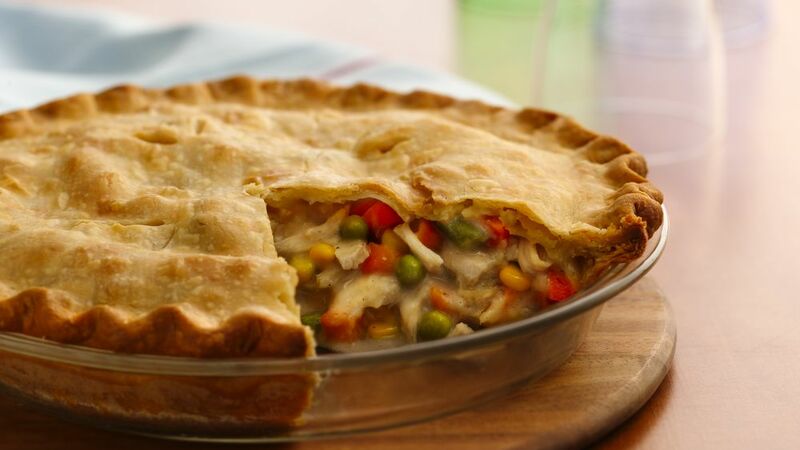 It’s a pot pie cook-off, followed by a four-course dinner. The cooking class is $65 per person inclusive. Contact Hamilton’s Grill Room directly here, and for menu and details see here. Cupcake decorating. Bring your kids to this cupcake decorating activity so they can create their own bakery masterpieces. The Hanusey Park Community Center in Plumstead Township will host a program to teach kids the basics of decorating, like how to tint frosting, fill bags, and practice using several popular tips. Kids get to decorate two cupcakes per person, and it’s $30 per child. Winter Fest wrap-up party. This year’s Doylestown Winter Fest will end on February 9, so ArtMuse of Doylestown decided to host a scavenger hunt wrap-up party in order to send the festival out with a bang. The party is from 12 – 2 pm, and it includes snacks, prizes, and a Minion meet-and-greet for those that took on the adventure of the scavenger hunt. Get more information from ArtMuse. Fresh and fit cocktail workshop. For all you cranberry and citrus vodka lovers, this is an opportunity you don’t want to miss. Learn how to make three delicious and fun cocktails using Boardroom Spirits’ FRESH vodka line. The workshop will focus on mixing up low-calorie cocktails using natural ingredients and juices, perfect for when you need a drink but don’t want to drink your day’s calories! The hands-on demonstration will let you chose a bottle of FRESH Cranberry Vodka or FRESH Citrus Vodka. Tickets are $35 and yes, you get to drink the “fruits of your labor.” Call 267.642.9961 to reserve your spot as spaces are limited. *Although Boardroom Spirits is in Montgomery County, PA, it’s only a short drive from Bucks County. Plus, who doesn’t love a midweek cocktail? Plan your weekend market trip. The Stockton Market welcomes its newest vendor, Bread & Spoon. Bread and Spoon creates savory dishes with ethically sourced animal proteins, local and organic vegetables, fruits and grains. This vendor also has ready-to-go prepared veggie and grain dishes as well as breakfast options, with gluten-free baked goods, and a salad bar featuring more farm fresh produce. Stockton Market’s hours are Friday 3 – 8 pm (limited vendors), Saturday 9 am – 4 pm, Sunday 10 am – 4 pm. Bonus: Blue Moon Acres and Market Pizza are now open on Fridays at 12 pm at the Stockton Market. Bucks Bacon & Beer 2017. Tickets are now available for the 4th Annual Bucks Bacon & Beer on Sunday, March 19 from 12 – 4 pm at Triumph Brewing Company in New Hope, co-sponsored by Bucks County Taste. It’s all about the bacon! Be it smoked, cured, artisanal, or non-nitrate, come and taste the best. Enjoy locally sourced and locally made bacon, sausage, cheese and other delectable foods from local purveyors, farmers and butchers. Enjoy a barrel tapping of a sweet beer, brewed by Triumph Brewing Company. Tickets are $45 for noon entrance and $40 for 2 pm entrance. Don’t wait. Tickets always sell out quickly. Click here for more information and to buy tickets. Next articleBucks local food photo of the week: Chocolate, cheesecake or peanut brittle? This is the best website! It’s got everything for anyone interested in food related venues. Keep up the good work! Love how everything is listed chronologically–makes it easy to follow all that’s going on.